“As long as you stay here, you can always think: one day I will go home. On the one year anniversary of President Trump's ban that targeted immigration and travel against seven prominently Muslim countries, I found myself walking through an unusually frigid New York night to get to an art show. Titled Before We Were Banned, the show felt like the right place to be — Iranian-born, Brooklyn-based curators Kiana Pirouz and Mahya Soltanti had collected works by artists from all seven banned nations, and I went in prepared to see some heavily political artwork. What I got instead was a full-blown lump in my throat and more than a few tears. The curations had so much heart — photographs from visiting family back home, audio-visual vignettes, and more — and told the neglected narratives of the communities that are continually only portrayed as hostile. The crowd was filled with faces that looked like mine who I knew felt the same complexities of identity that I did, and the night has stayed in my heart as one of the most tangible moments of hope I've ever felt. Pirouz and Soltani took the darkness of the ban and spun it into light, all while creating a community in the process. Before We Were Banned recently dropped a tote, and much like the show, it addresses the sting and the beauty of living . “As long as you stay here," reads the James Baldwin quote. "You can always think: one day I will go home." 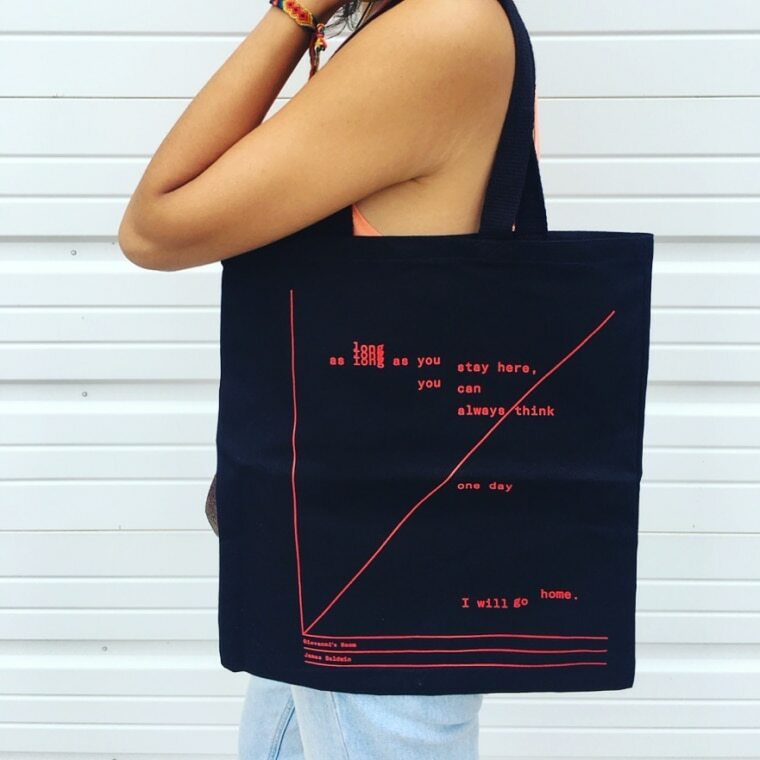 Purchase the tote on Before We Were Banned's webstore and follow the project on Instagram. Thumbnail via Before We Were Banned.